Although, the digital boom has consumed us with massive amounts of data, many companies are still scrabbling to understand how to interpret, organize and implement analytic strategies from the overwhelming data being presented. It is no secret that when you think of Big Data some may think of it as a gold mine, and they would be right. Dependent on how you leverage your data, is key to receiving the benefits of such valuable information. Analytics is a vital tool in keeping up with competitors and utilizing your data to drive your organization forward. Below, are reasons why integrating analytics into your organization is necessary and beneficial to your company. There is no doubt that time is valuable, especially when it comes to workflow. Spending time sorting and gathering information takes time that could be used acting upon the information. By using analytics the information you customize is gathered digitally. If your company is still using excel sheets and pie charts to organize data, it is imperative that you start utilizing analytics as a means to streamline workflow. Many companies may already be using some sort of analytics software, but knowing what information to report back on and how to interpret the information can be a challenge in itself and is something that needs to be taken into consideration in the long-term. Understanding key performance indicators and the goals you want to achieve long and short will help in gaining knowledge of what data you need to be analyzing. By Leveraging existing, new and historical data it will help to forecast future events, behaviors and trends of your audience you are trying to reach. 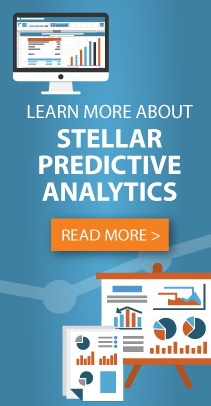 Predictive Analytics allows companies to gain a better insight not only for optimization, but to implement highly-targeted messaging and prepare more strategic strategies when you see specific areas of your business declining. The great thing about analytics is being able to customize dashboards for everyone’s benefit within the company. Big or small if you have different departments with their own goals and strategies, creating departmental analytics is important. It used to be that CEO’s and other leadership gather, receive and delegate information, but in today’s world the data is far too large and valuable to allow information to slip through the cracks. Within each department, members should be able to analyze the information that pertains solely to the success of that department on an individual level. Opening up this information allows for more ideas to flow and strategies to be built upon.